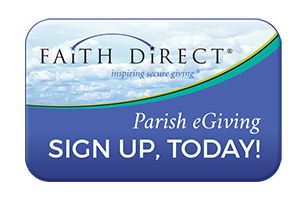 A growing number of parishioners have already signed up for electronic giving. Long-time parishioners as well as new parishioners have taken advantage of this method. Harnessing technology to accept donations electronically can be a win-win for both churches and their members. E-giving promotes peace of mind for parishioners because they can count on their contributions being made whether or not they are physically in the church. This could be due to illness, on vacation , or unable to attend due to inclement weather. The deduction of paper is a smart strategy for the environmentally aware. And in this day and age where privacy and security concerns are mentioned in the news on a daily basis, e-giving offers increased confidentiality. For church administrators, e-giving offers the stability associated with a consistent stream of revenue. It also reduces the time and labor required to process checks and make deposits. To continue to offer an online giving option is simply to be consistent with the way many people are handling money in every other part of their lives. If you need an enrollment form, call the Rectory or go directly to the FaithDirect web site . Our parish code is: NY28. How does Faith Direct work? This secure program works directly with your bank, in the same way as other electronic funds transfer systems you may already conduct (such as utility bills or your mortgage payment). All transactions are done electronically, debiting your bank account or credit card automatically for the amount to which you have agreed in writing. It is a hassle-free, simple solution for today’s busy families. No! The Faith Direct program is strictly regulated, and only you can designate the amount of money that may be debited on a monthly basis. We will not disclose any non-public personal information except as required by law. We maintain physical, electronic and procedural safeguards that comply with federal standards to safeguard your information. On the fourth day of each month your account will be debited for the total weekly contribution amounts you have authorized. Your Church will receive your contribution within four business days. How can I be sure that my gift is going to my Church? Your monthly gift will be clearly itemized on your bank or credit card statement with the name of your Church c/o Faith Direct. Your Church will receive monthly statements indicating your support level. Faith Direct will provide you with an annual contribution statement for tax purposes. Your contributions to your Church via Faith Direct are tax-deductible to the extent allowed by law. Yes, by calling Faith Direct toll free at 1-866-507-8757 or visiting FaithDirect web site . How does my Church benefit from my participation in Faith Direct? Your Church will see a substantial increase in net revenue, a decrease in administrative costs, and a clearer picture of cash flow for your Church’s needs. Click here to sign up online. If you have further questions about the Faith Direct program, please contact us at 1-866-507-8757 (toll free} or info@faithdirect.net .